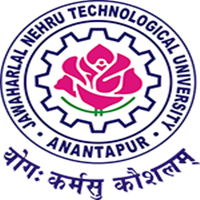 It is to inform you that Broadcom is visiting JNTUA, Ananthapuramu for Pool Drive on 08-06-2017 for immediate recruitment of 2017 passed out candidates. Here is a brief about Broadcom and the job profile which Broadcom is looking for this contract position. This contract will be awarded for a period of one year for the selected candidates. The contract will be renewed after one year based on candidates performance and business needs. The package will be 4 lakhs per anum. Broadcom Limited is one of the world’s largest fabless semiconductor companies, with 2014 revenue of $8.43 billion, has more than 20,000 U.S. and foreign patents and applications, and one of the broadest intellectual property portfolios addressing both wired and wireless transmission of voice, video, data and multimedia. Broadcom is headquartered in Irvine, Calif., and has offices and research facilities in North America, Asia and Europe. Broadcom Communication India is one of biggest offshore research and development center of Broadcom outside US. Please visit www.broadcom.com for further information. Broadcom Limited India’s Wireless Connectivity Combos (WCC) business unit works on delivering world class Wireless LAN and BT solutions to the customers. Broadcom’s WCC System and Design verification team specializes in providing test and automation solutions to WLAN and BT ICs. The work involves learning fundamentals of networking, protocols( WLAN and BT ) and developing test automation and programming skills. Broadcom is a world leader in providing WLAN combo solutions. WLAN coexistence team works on challenging technologies to deliver WLAN solutions coexists with other wireless technologies like Bluetooth. Above mentioned group is looking out for talented engineers to deliver on challenges that they have in Broadcom. You are requested to give wide publicity to this drive and send the list of students ( CSE, ECE, EEE, EIE) who have completed B.Tech (2017 passed out) with 60% cut-off in the format (mailed to your College mail ID) on or before 31-05-2017 to dirap.office@jntua.ac.in for further processing. Good to see this notification but it don’t have relavent information. Please give information about how to apply for this interview what are the information you need from candidate please tell us.